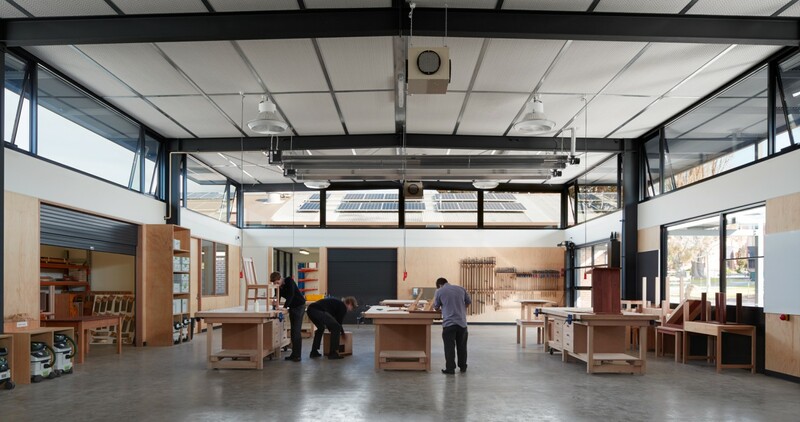 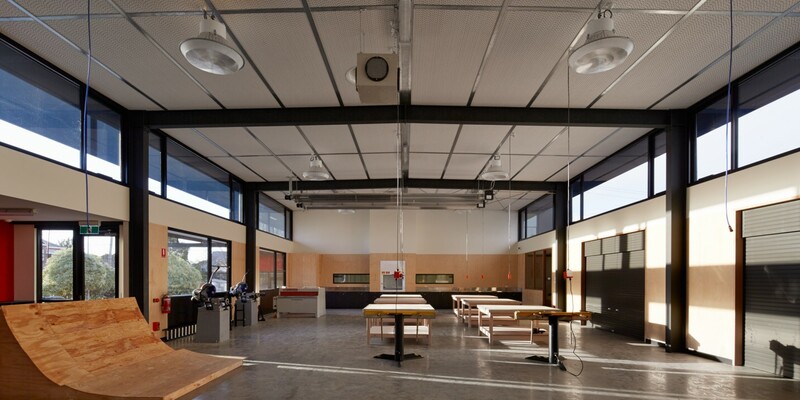 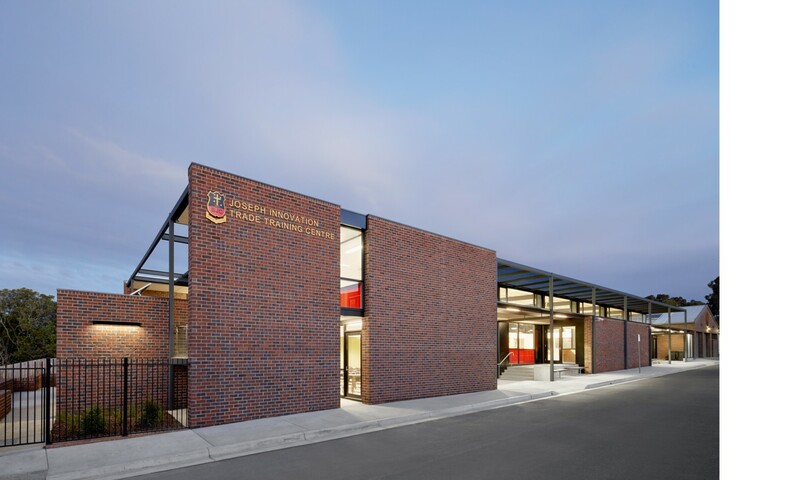 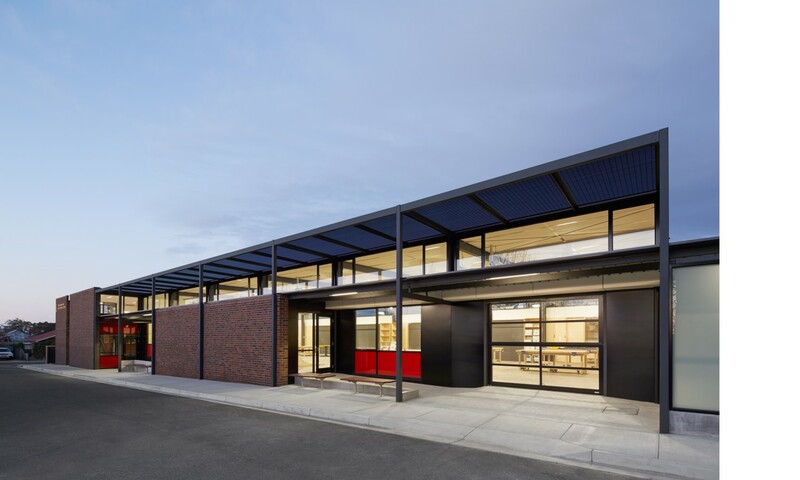 The facility adeptly integrates large volume plumbing, electrical and construction workshops with smaller-scaled classrooms for Allied Health and Carbon Management. 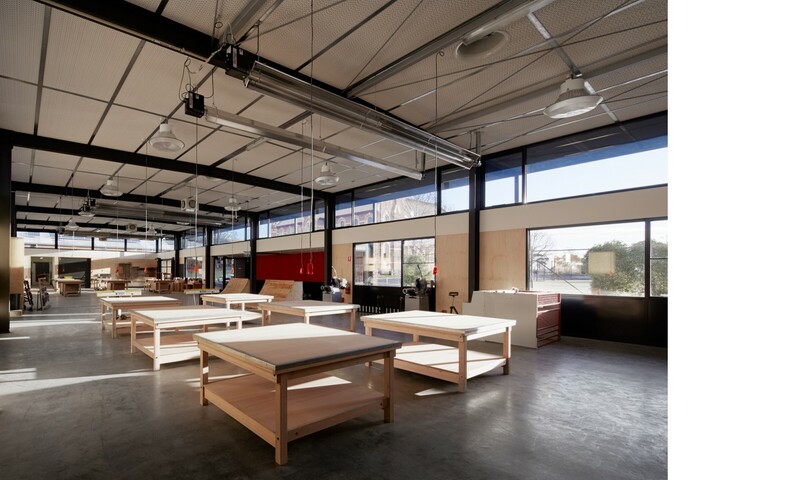 Flexibility is afforded through an unobstructed floor plan and considered planning and reticulation of services. 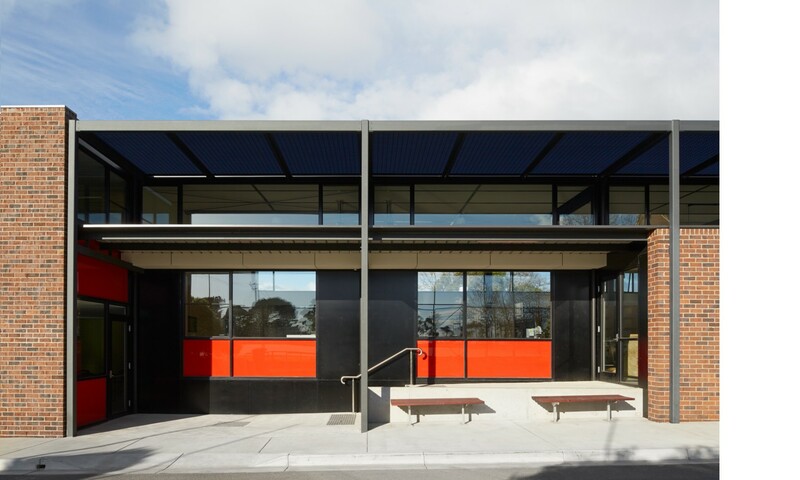 A selection of robust and low maintenance materials is responsive to the building operations. 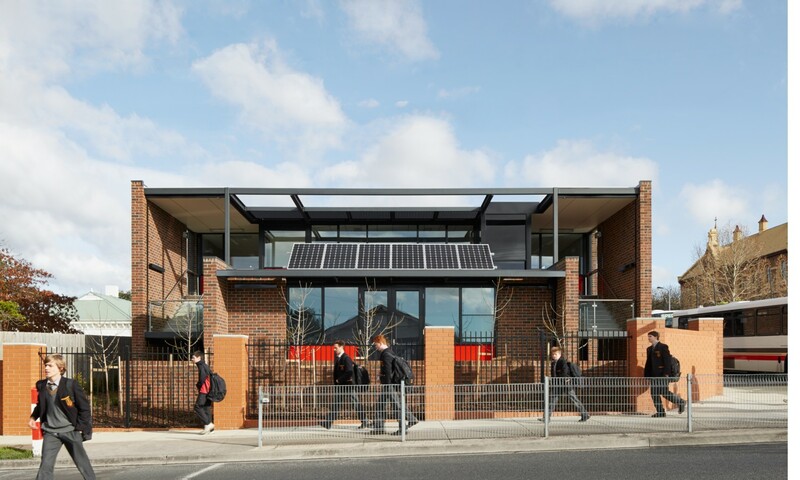 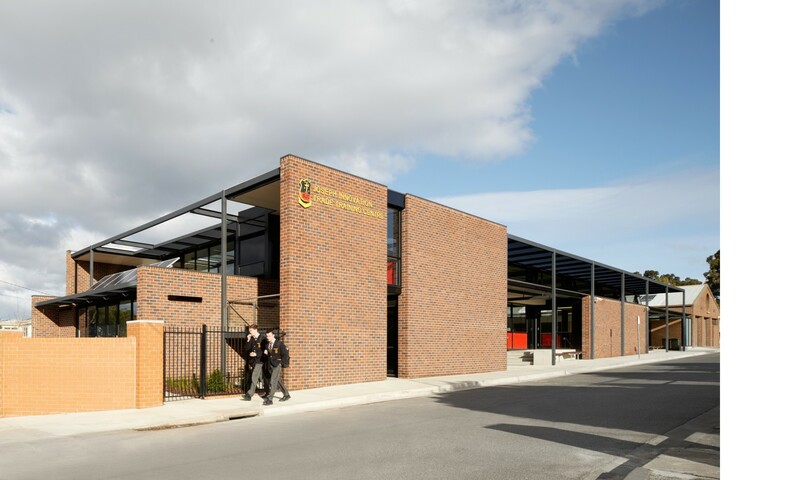 The respectful exterior mediates the residential context with the College campus.